Busy photographers who are increasingly active on social networks know how hard it is to keep track of when to post which photos to where. 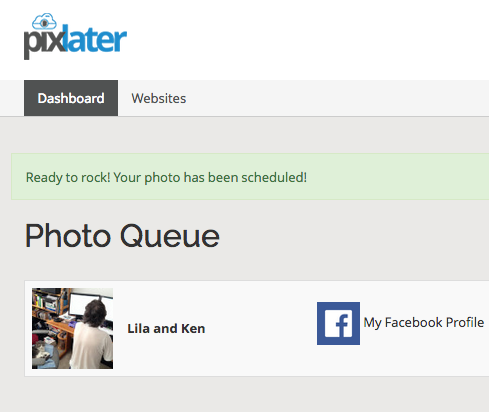 Pixlater — it’s all in the name — lets you schedule image posts to your various social networks at a time of your choosing. Pixlater, an online app that has quietly launched an open beta, is targeted to photography enthusiasts and pros. Just register with an email address, and from there you can choose to link to popular photo sharing social networking services such as Twitter, Flickr and 500px, in addition to various Facebook pages and groups. The company plans to link the new service to Tumblr, Google+, Pinterest and Instagram in the future. Pixlater is designed to fill a niche position in the marketplace and work in conjunction with [existing] social photography sites, Simon Gelfand, the company’s co-founder, told TNW. “We see ourselves as an additional tool in the photographer’s toolkit, acting as their distribution service and also facilitating stats and feedback collection,” Gelfand said. When Pixlater launches for real, it will offer a 30-day free trial for all accounts with no registration requirement or credit card number. PixFree accounts (which are free) are limited to 10 photo uploads per month, and allow 1GB of storage and two connected websites. A PixPlus account, for $10 per month, allows 50 photo uploads per month, 10GB of space and 10 connected sites. A PixPro account, for $40 per month, removes all photo uploading limits, offering storage of 100GB. It also throws in a personal portfolio, advanced analytics and connection with third-party apps for website integration. “Our portfolio will be a little different, as we will place an importance on the social aspect — aggregating all your photo stats (from photos that were uploaded via our service) and providing a dynamic portfolio showing your most successful ones,” Gelfand said. 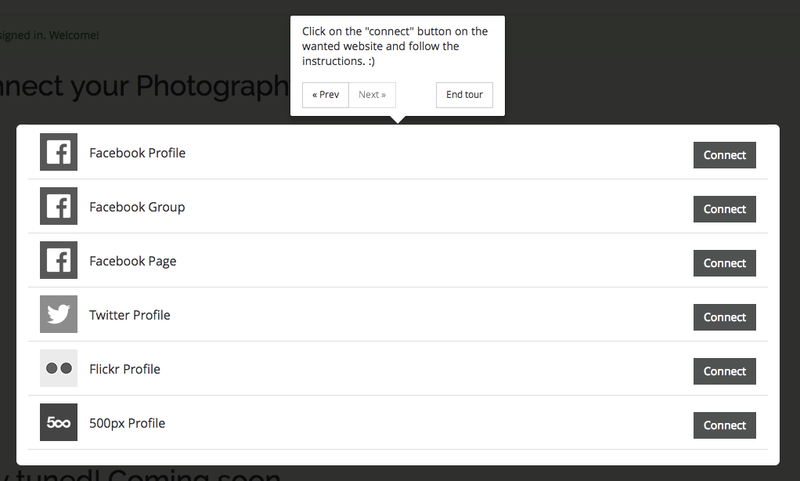 Gelfand envisions the portfolio’s profile pages as somewhat similar to those of About.me, showcasing the photographer’s connected sites with contact options for photo work — basically, a lead generation tool for photographers. Pixlater will be in beta until the end of the year, mainly testing the scaling of the app and gathering feedback on what services users are looking for.